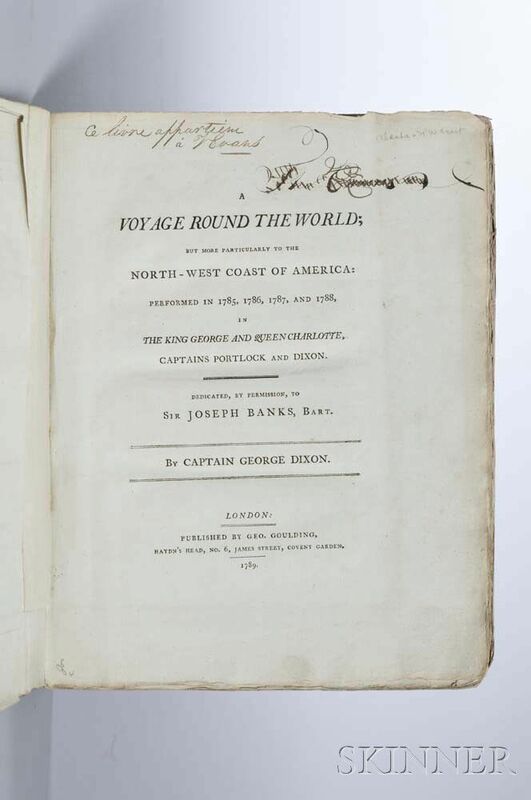 Dixon, George (1748-1795) A Voyage Round the World; but More Particularly to the North-West Coast of America, the Streeter Copy. Dixon, George (1748-1795) A Voyage Round the World; but More Particularly to the North-West Coast of America, the Streeter Copy. 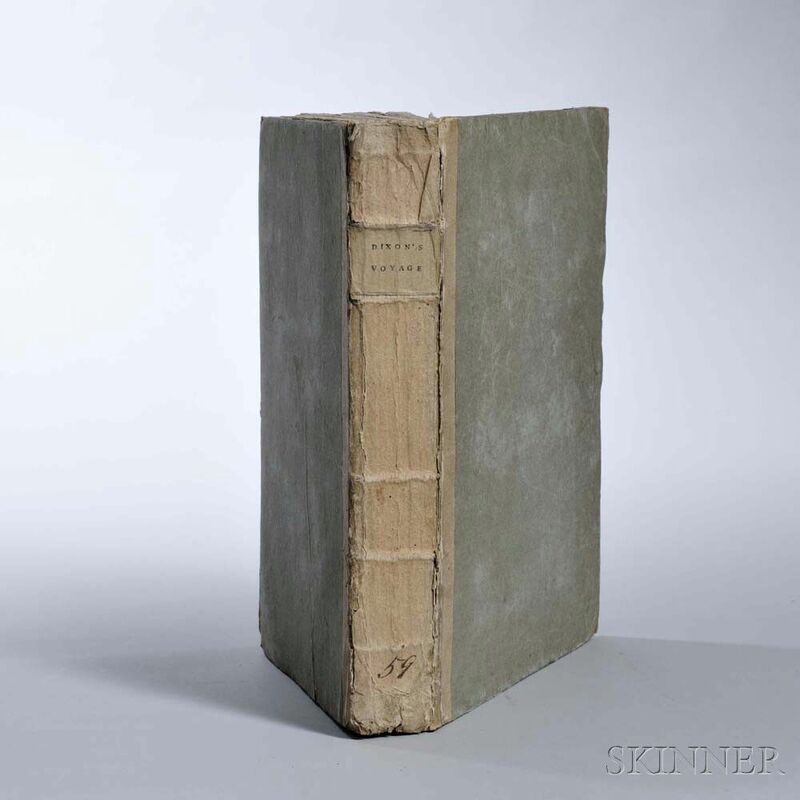 Dixon, George (1748-1795) A Voyage Round the World; but More Particularly to the North-West Coast of America, the Streeter Copy. Dixon, George (1748-1795) A Voyage Round the World; but More Particularly to the North-West Coast of America, the Streeter Copy. 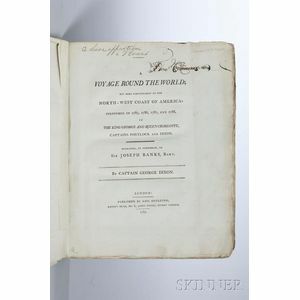 Dixon, George (1748-1795) A Voyage Round the World; but More Particularly to the North-West Coast of America, the Streeter Copy. London: Geo. Goulding, 1789. First edition, large quarto, illustrated with seventeen plates (three folding) and five folding maps, half-title, in the original boards, uncut; Thomas W. Streeter's copy, with his book-ticket and penciled notes, housed in a custom chemise and slipcase, 11 3/4 x 9 in. This work, dedicated to Sir Joseph Banks, is primarily an epistolary narrative, consisting of forty-nine letters by William Beresford (listed as the author in the ESTC), and edited by Dixon who also wrote the introduction and appendix, and prepared the maps. The text also contains two appendices; the first is on the subject of natural history and the second publishes the ship's logs. Dixon and his crew discovered Queen Charlotte Island, Port Mulgrave, Norfolk Bay, and the Dixon Entrance and Archipelago. 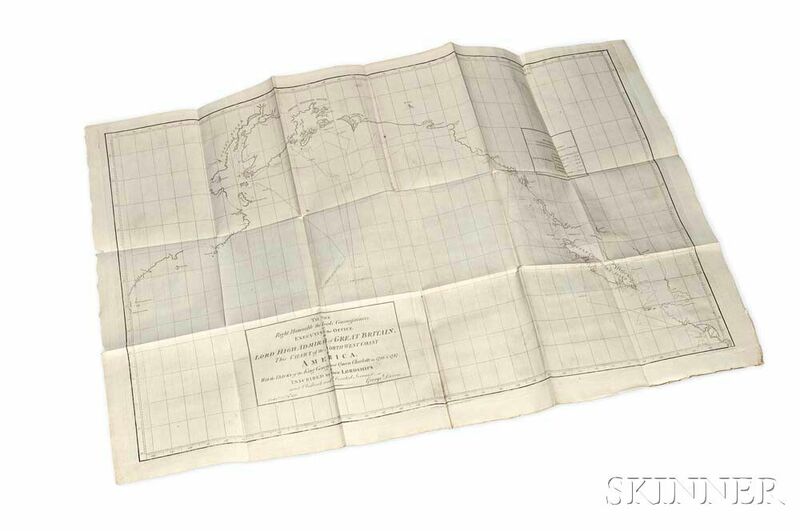 Dixon was onboard with Captain Cook for his third voyage, and was determined to map the northwestern coast of America more carefully than was possible on that original journey. The work contains ethnographic material of interest related to the American coast from the Nootka Sound northward; one plate contains music and lyrics for a traditional Indian song sung by Natives of the Norfolk Sound, "previous to commencing trade." 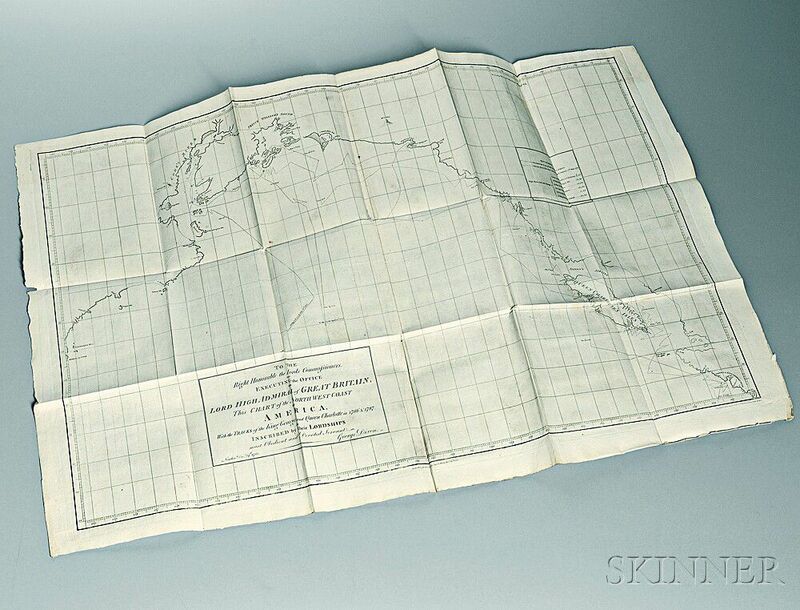 All maps and charts are of either the Northwest Coast or Hawaii.